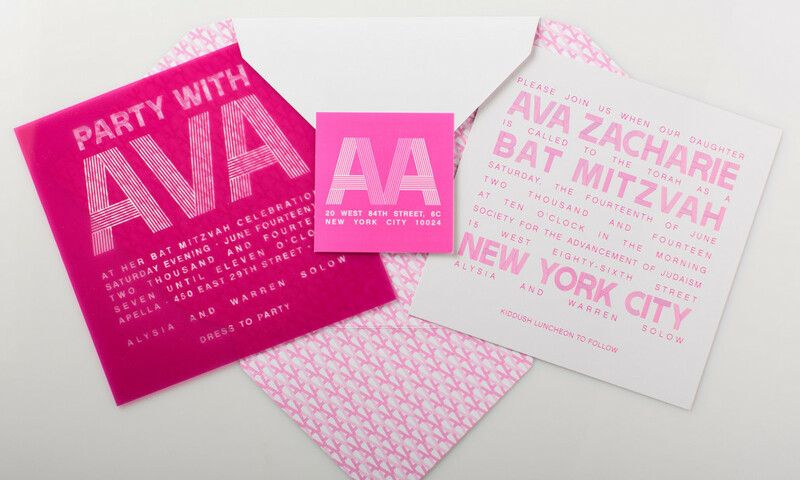 This bright and modern invitation is printed with raspberry ink on clear plastic. 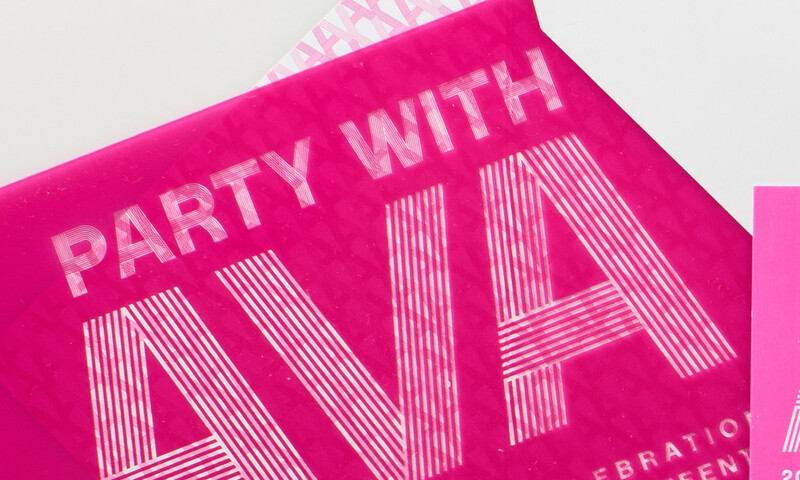 A glossy, white pouch-like envelope opens flat to reveal a custom designed monogram pattern. A coordinating address seal keeps it closed to go through the mail intact.